The Beatles have agreed to license their entire music catalogue to MTV Networks and games-makers Harmonix for the production of a video game. The game is still in development, so executives had few details to offer as to how it will actually work, but they confirmed that it will span The Beatles' entire career, and be available for late 2009. "It will be an interactive music-making game," Van Toffler, president of MTV Networks Music, said during a conference call (30 October) with reporters. 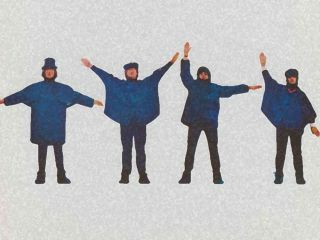 "I would say that there will be interactive performance of Beatles music, as well as a number of new dimensions that you haven't seen from us so far." Harmonix produces the interactive Rock Band video game, but the Beatles game will not fall under the Rock Band brand. "This game is not just a Rock Band expansion pack. It is a new, full game title production built from the ground up," said Harmonix co-founder Alex Rigopulos. Giles Martin, son of producer Sir George Martin and co-producer of The Beatles' Love album project, will serve as music producer. "The project is a fun idea which broadens the appeal of The Beatles and their music. I like people having the opportunity to get to know the music from the inside out," said Paul McCartney in a statement. Ringo Starr added: "The Beatles continue to evolve with the passing of time and how wonderful that The Beatles' legacy will find its natural progression into the 21st century through the computerized world we live in. Let the games commence." Ho hum. MusicRadar wonders if Ringo will sign any consoles for fans?